There’s no shortage of angst and anticipation associated with the infamous medical school interview. And while you’ve most likely exhausted from painful MCAT prep and application by the time you’ve reached the big meeting day, it’s time to utilize those last energy reserves to ensure you’ll make a solid impression on an admissions team. And one of the quickest ways to leave a lasting, positive – or dreadfully negative – impression is through the kind of medical school interview attire you adorn. And while it’s best to err on the classically conservative side for your medical school interviews, the saying “dress to impress” will receive new merit throughout the process. Organizing the perfect medical school interview attire can be a bit more confusing for women than for men, as there are a lot of conflicting factors and different kinds of choices at play. But while you may have a bold, statement-making style you wear on the streets, a medical school interview is no place for putting your wild personality on display. A classic-cut, clean pant or skirt suit is the safest bet for an admissions interview. And in terms of the complete look for medical school interview attire, it’s the central piece that will tie the rest of your garments together. Opt for a neutral hue like navy, black, beige or cream. Always be considerate of length. You never know who you might be interviewing with, so it’s best to lean on the conservative side when it comes to skirt length. Try aiming for a conservative neckline, with or without buttons. As for color, white, cream or light blue will typically work best. Try to avoid bare legs (or too much skin in general with your medical school interview attire) as much as possible with hosiery. As for shoes, a low-inch heel (or no heel at all) with a close-toe foot will work best. Although a simple watch or necklace is fine, it’s best to try to avoid flashy/too much jewelry all together. 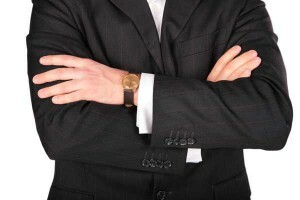 Although men won’t have as much confusion associated with what to wear and what not to wear during their interview, there are still a few basic rules that apply. Always opt for a suit (versus slacks and a shirt) for your interview in black, grey or navy. Opt for a long-sleeve length, and a lighter hue such as white, cream or light blue. Don’t forget a well-placed tie as well (light blue, yellow or gray). Opt for loafers to complete the look.